Theater cleaning is a unique service. Movie theater cleaning requires a good work plan to accomplish all of the necessary tasks. CSI can put that plan in place and work the plan to success. Our theater cleaning experience including floors floors, carpets, restrooms and more, keeps the movie watching experience enjoyed by all. 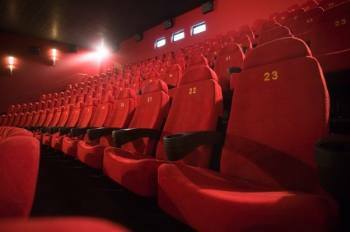 We understand the extremely different cleaning needs in the movie theater industry. Late shows, early previews, large crowds, children shows don't scare us. Let us partner up with you to make your customer's visit to your theater a pleasant one. We look forward to the opportunity to serve you for all your cleaning and janitorial service needs. Please contact us at Contact Us and/or if you are interested in more information on our professional theater needs, please complete the Request a Quotation to receive a prompt response to discuss your specialized needs for your facility. We hope to serve you soon!